If you think contemporary kitchen design has to be cold and stark, think again. Modern, clean-lined kitchens can be just as inviting as traditional ones if warmth and a welcoming vibe are made priorities during the design process. 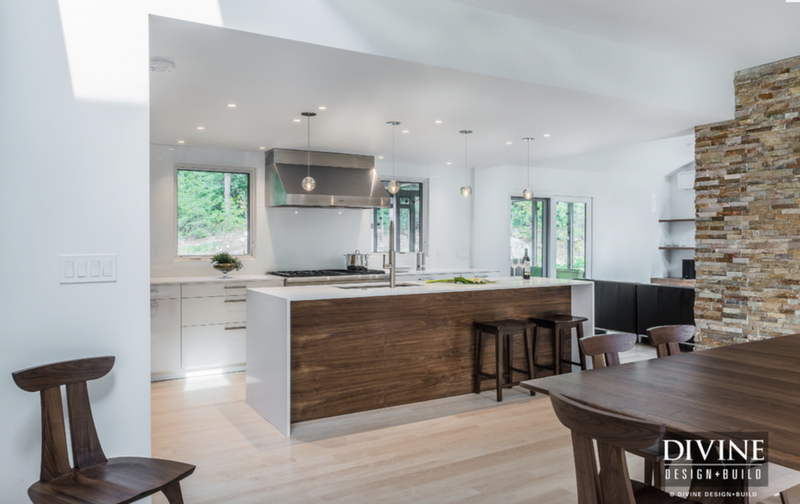 This was the case for a cutting-edge kitchen remodel we recently completed in a contemporary home in Bedford, Massachusetts. The home was modern in every sense of the word, and the homeowner wanted to maintain this style, while at the same time creating a space where friends and family felt comfortable and relaxed. The key to finding a happy medium among these priorities was using texture and color to offset minimalist design. The exterior of the home reflects the homeowner's modern taste. Inside, we started the kitchen design with flat-front cabinetry to offer the simple, chic look that's the hallmark of contemporary design. 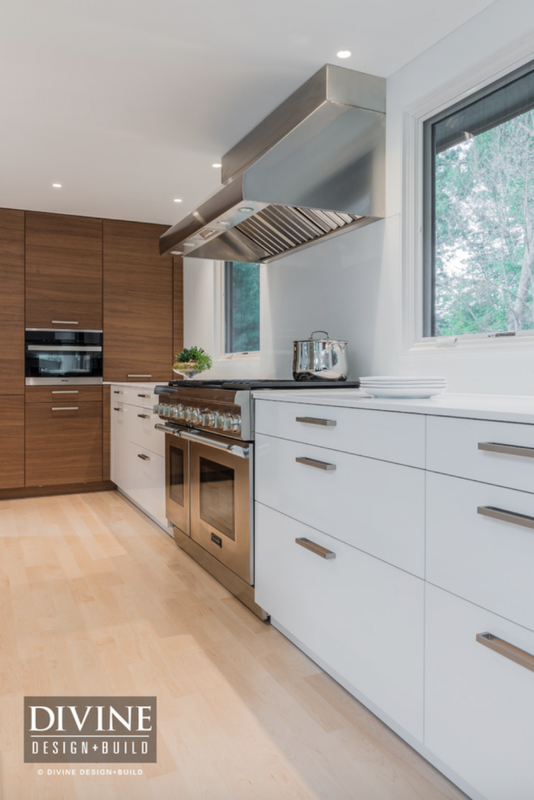 From there, we chose a bright white veneer for all of the lower cabinetry to give the room a fresh, airy feel. Here's where the warmth comes in: we used a warm walnut wood for the floor-to-ceiling storage along the end wall and for the seating-side of the island. 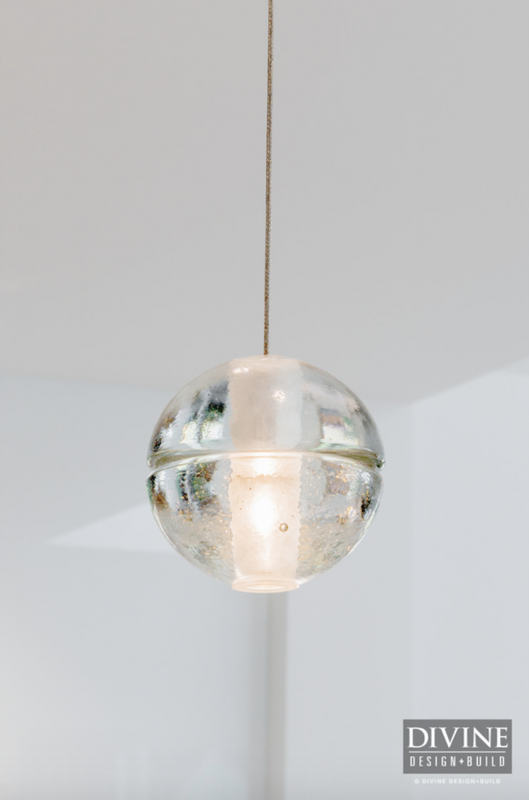 Artisan-style lighting adds another organic counterpoint to the clean design and brings texture to the room. As for the functional elements of the kitchen design, we went with top-of-the-line German appliances from Miele and Thermador, as well as highly-efficient LEICHT cabinets boxes which are designed to maximize storage. 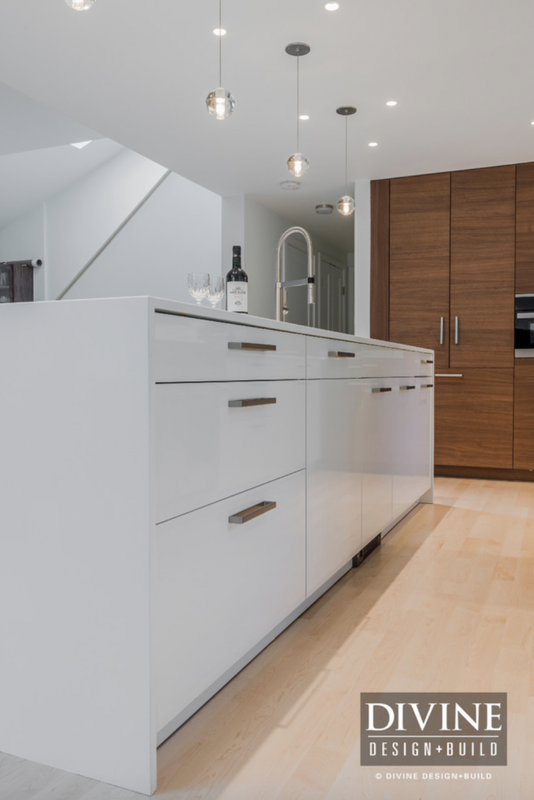 To see more of this contemporary white and wood kitchen design visit our Houzz profile.